8 köpfige Salsa-Band aus Sidney (Australien) gegründet vom Pianisten Danny G Felix. Sie spielen Salsa Dura beeinflusst von der Salsa der 1970er. Sydney-based pianist and producer Danny G Felix formed the eight-piece salsa band Malo Malo in 2013. He wanted to bring to Australia the classic live New York (nuyorican) soundmusically complex but with raw energy and great for dancing. Inspiration for the band came from Dannys visits to Colombia, USA and Cuba, including playing in New York with greats such as Jimmy Bosch, Ray de la Paz and Pete Nater. Danny had already attracted attention on the world salsa scene based on tracks from his Danny G Felix Project album (Elegwa 2011). In Sydney, he recruited lead percussionist Dominic Kirk, recently returned from a year in Cuba where he placed second in the prestigious Fiesta del Tambor. Dominic brings to Malo Malo his prodigious talent, fire and a deep understanding of the music. Haling from Peru, vocalist Richard Valdez is also essential to Malo Malo. Richie is known for his engaging and energetic stage presence as well as an authentic salsa singing style reminiscent of the great Fania singers. Bassist and 2IC Sal Salsatore Santoro is one of the most experienced and respected latin musicians in Sydney. The two trombones are also an irreplaceable feature of this music, and Mike Raper and Benn Chapman play brilliantly as a sectioncomplimenting and bouncing off each other. Danny, Dom and Mike had played together previously in Son Veneno. 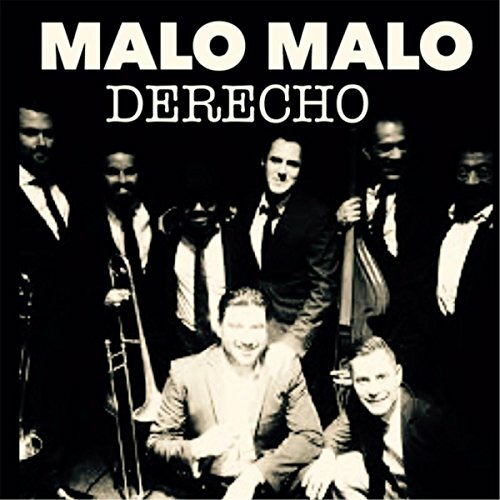 All members of Malo Malo are professionals of many years experience, with great energy, musicality and a real love for salsa. In the brief time since it started, Malo Malo has become a favourite among dancers, with a fortnightly residency at the Live Latin Sessions at the Jam Gallery. They also play at Foundry616 and Venue 505, with a repertoire which includes a number of their own original songs as well as classics, all based on the 1970s nuyorican sound. Das hier kommt aus Australien: »Malo Malo heisst die 8-köpfige Band aus Sidney unter der Leitung des Pianisten Danny G Felix. Sie spielen Salsa Dura beeinflusst von der Salsa der 1970er - und das eben nicht malo, malo!